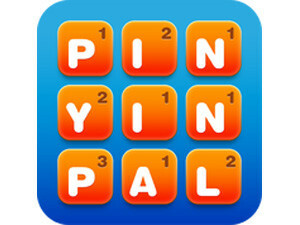 PinYinPal, a spin-off of Words With Friends, is a free game that makes learning Mandarin easier. Learning Mandarin just got easier thanks to PinYinPal, a spin-off of the popular word game Words With Friends. A language that has earned the reputation of being one of the hardest to learn, Mandarin Chinese is currently spoken and understood by over one billion people worldwide. Roughly 21% of people in the world are able to read Chinese, while only 8.3% can read English. With this in mind, Dr Adeline Yen Mah, author and founder of the Chinesecharacteraday.com Foundation, developed PinYinPal, a game she says makes learning Mandarin fun. The iPad app makes it easy to read and recognise Chinese characters. "I'm convinced the future of language learning lies in playing games, consumed in bite-sized chunks on tablets or mobile phones," says Mah. The fact that the Mandarin Chinese alphabet is made up of characters is not a problem, as PinYinPal uses Mandarin vocabulary spelled out with the English alphabet. The app has various guides, including a built-in Dictionary and Word Finder, making it easier for players who don't know any Chinese to play competitively against native Chinese speakers. The Word Finder analyses the letters in a player's rack, teaching the player what PinYin words to play, and includes audio pronunciations for each word. Like Words With Friends, players are pitted against random opponents or their friends on social networks and are challenged to take turns spelling words. Opponents can chat with each other using both English and Chinese characters. Players can earn extra points by recalling the correct character and meaning of the word just played, encouraging recall. PinYinPal is one of the finalists in the Appalooza best app competition, a competition based on votes by the public. "It is my dream that all the people of the world will unite while playing PinYinPal and learning Chinese," says Mah. "Regardless of one's mother tongue, the basic programming is the same." The first version of PinYinPal is being offered in English. However, the game is being translated into French, Spanish, Italian, German, Portuguese, Arabic, Hebrew, Russian, Japanese and Korean. The PinYinPal app is available for free for iPad and will soon be available on iPhone and other devices.